I’m sure you’ve seen my post way back that Air Asia and Zest Airline has been rebranded as Air Asia Zest to provide us with first class treatment without putting hole in our wallet. And that’s what Airasia Zest offering to everyone. Through AirAsia Zest, The Best Low Cost Airline in the world is just a piece of cake! Last November 20, our friends from Air Asia Zest invited us to a blogger launch of their In-flight meals. Air Asia Zest provides wide array of foods that will surely satisfy your cravings while you’re on board. Yes, you got it right, I’ve got this *kilig* feeling when I receive the news that I was invited in the said event. Haha! Even before the event started, the bloggers were indeed busy taking photos. While waiting for the program to start, AirAsia Zest offers their sandwiches and snacks to us. Not to mention these REALLY TO DIE FOR sweet treats! I was WOWed when I saw Jonathan Yabut as the head speaker of the event. I was like “I’m just watching him in Youtube with his interview with Mr. Tony Fernandes on why He should be The Apprentice Asia, but now He’s standing in front of me?” hahah! Before digging on the foods, the Chef shared us everything on how they handle the foods so it’s guaranteed that they will serve it to us the freshest. I was amaze that Chef explained that they uses a Blast Chilling Technology to make sure that it’s on the highest quality even at 35,000 feet above the ground. The very beautiful flight attendant was also there to hand us the scrumptious meal. 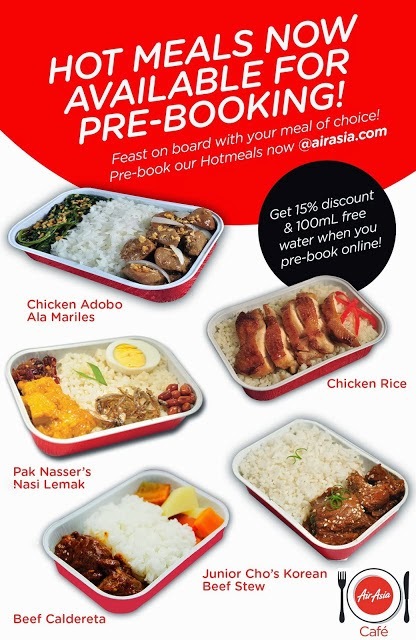 INTRODUCING: AirAsia Zest In-Flight Meals! I find it cute when they named their food from their Chairman’s. Honey Glazed Chicken: Second fave! It was delish! The sweet and rich sauce it has complimented well the tender boneless chicken plus their steaming hot rice. Perfecto! Korean Beef Stew: My absolute favorite! Sweet and Salty combination of beef incorporated well with their saucy sauce with a nice touch of veggies as sidings. I was really happy since the Beef itself was tender and easy to chew. I mean, I always experienced somewhere that the meat will turn into a bubble gum-like meat. But AirAsia Zest nailed this one! Hands up! Uncle Chin’s Chicken Rice: It was served in a smaller portion. (Not the actual size) Since there’s more to come! Hehe! 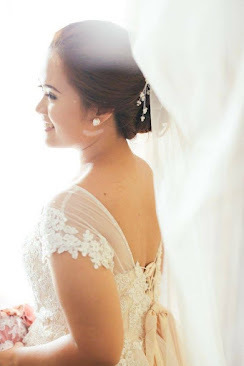 This is boyfie’s favorite! He loved the flavorful silky plump Chicken Rice it has. The Chicken was nicely seasoned and tender as well. Chicken Adobo ala Mariles – Ofcourse, Filipino food wouldn’t be complete without Adobo right? The Sweet-Sour marinated chicken is just divine. The sauce sips in the chicken that you’ll surely taste in every bite. Maan’s Pasta Arrabiata – I am self confessed sweet pasta kiddo. I think my taste bud is not cultured enough on authentic Italian. Haha! Their approach here is classic Italian flavor. It has tangy flavorful tomato sauce with a bit kick of spiciness. So if you’re a fan of classic Italian pasta, I’m sure you will love these. And before everything else, let me just tell you how AWESOME this cookie was!!! Well, isn’t it enough for me to tell you guys that THIS.IS.THE.BEST.COOKIE.EVER???! I’m not joking, I swear, this cookie is just heavenly! It even topped my favorite cookies from different branded cookie store out there. It was insanely chewy, moist and chocolatey! Please do me a favor, please do buy these babies if ever you’ll fly with AirAsia Zest, it will soon be your favorite!